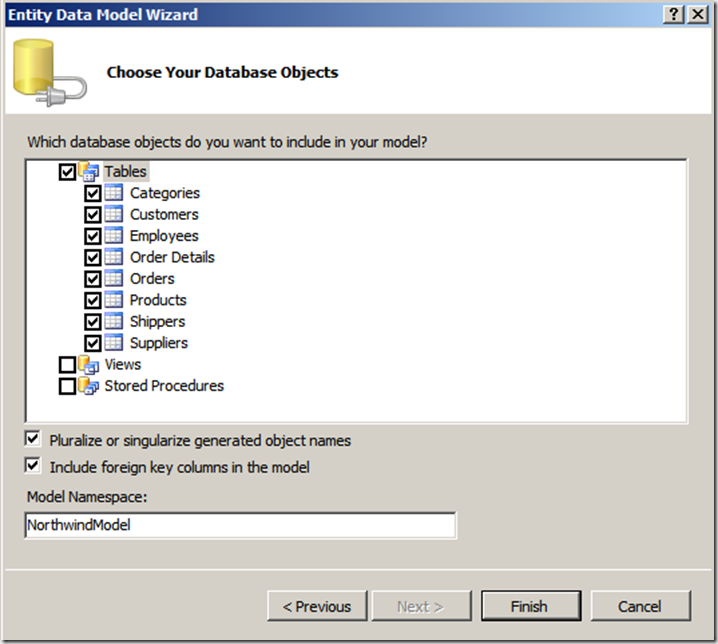 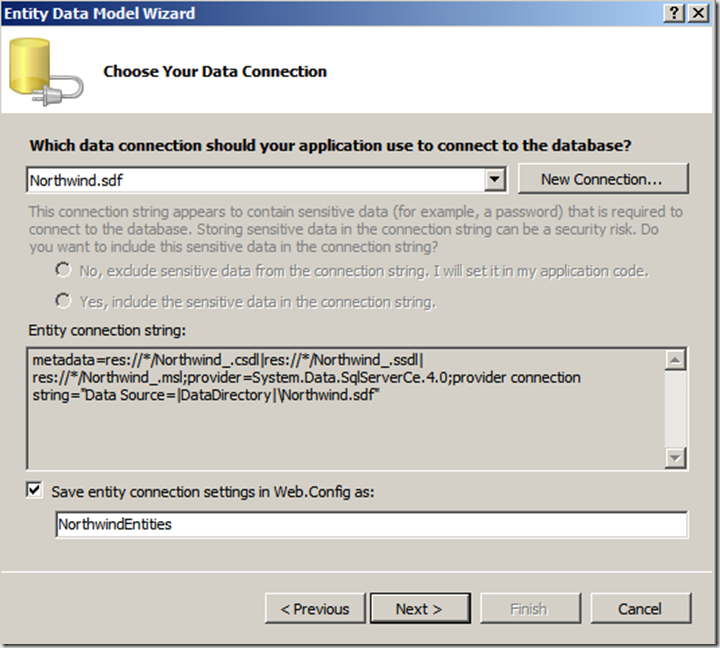 This howto is built with the Northwind sample database, wrapped in an EntityFramework 4.0 EDMX and published with a WCF Data Service. 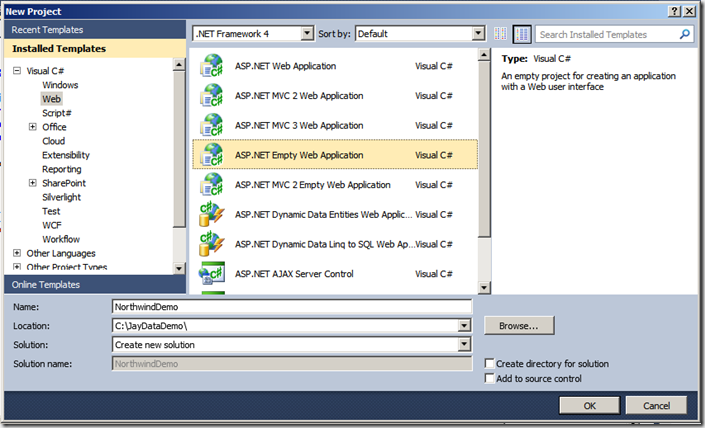 You can grab this example project from CodePlex. 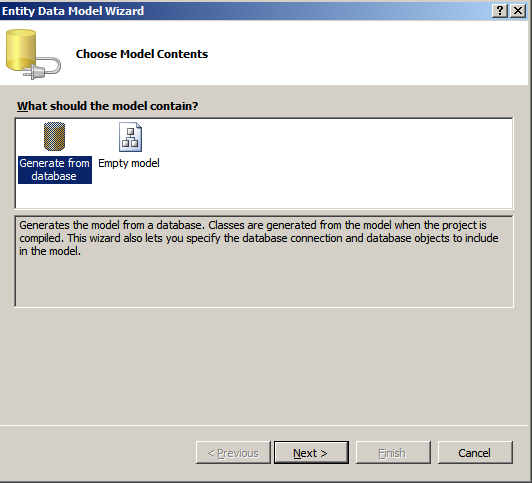 This walkthrough intentionally lacks the use of any kind of view or template engines to keep the material focused on its main topic: accessing and manipulating data with JayData. 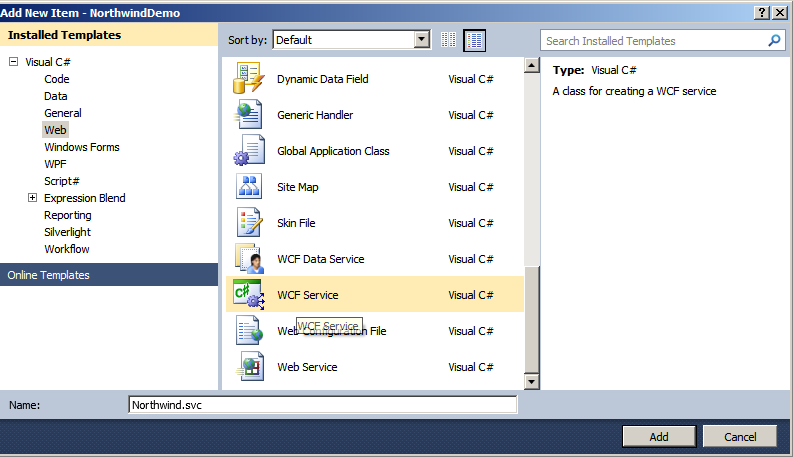 sorted by the product name. 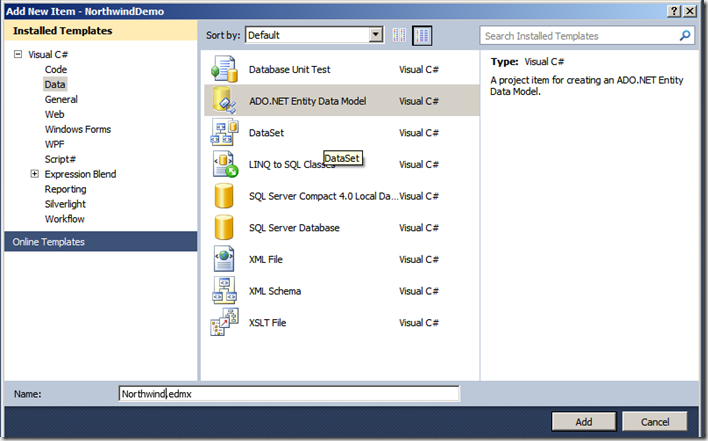 A typed OData context provides intellisense on the Entity and EntitySet level. 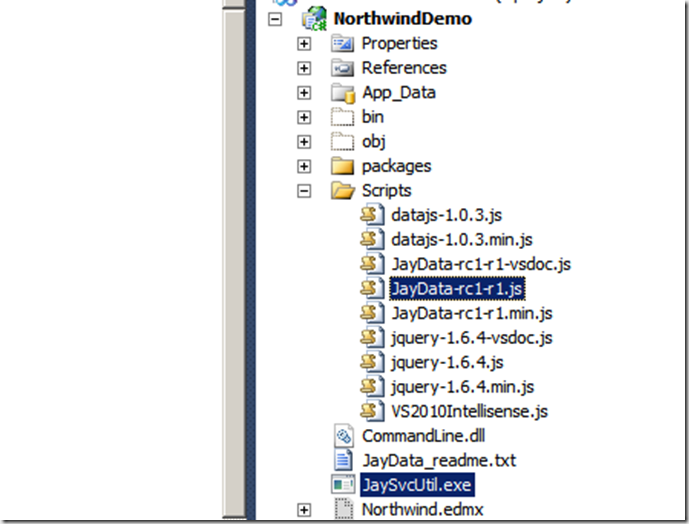 You can generate such a context with the JaySvcUtil.exe, we will talk this about later. 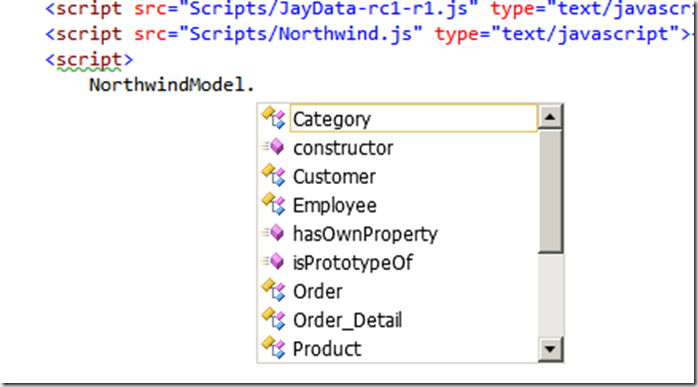 Intellisense list of entity fields comes in handy in a number of times. 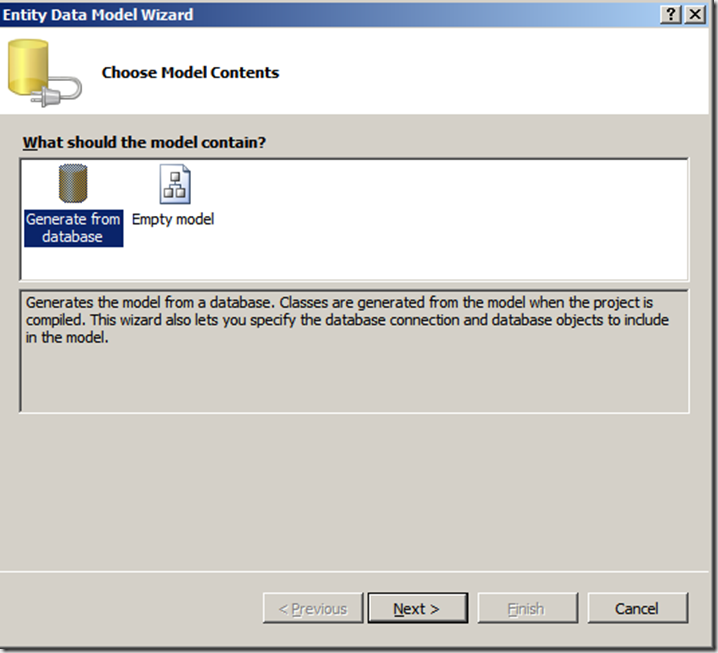 How to setup the Northwind OData demo environemnt? 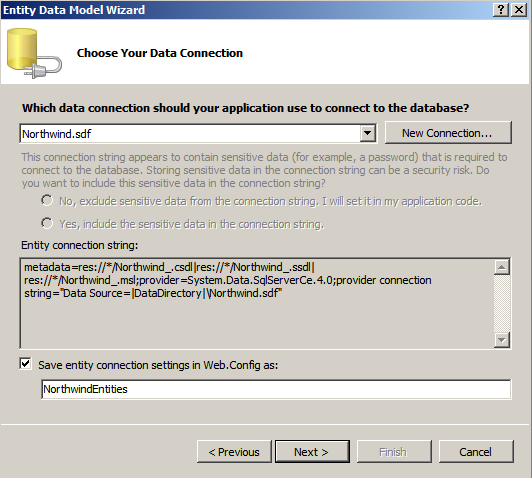 The Northwind OData demo environment can be downloaded from here or from this link at CodePlex. 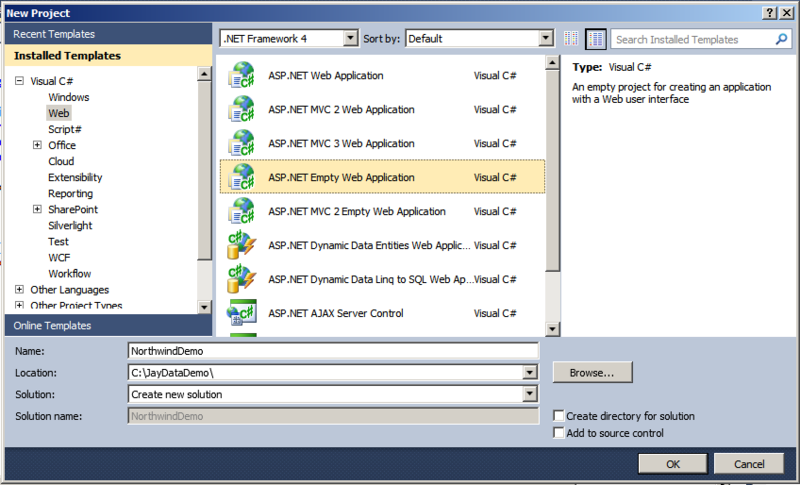 1) Open Visual Studio 2010 and create a new Empty Web Application, name it NorthwindDemo. C:\Program Files (x86)\Microsoft SQL Server Compact Edition\v4.0\Samples into the App_Data folder. 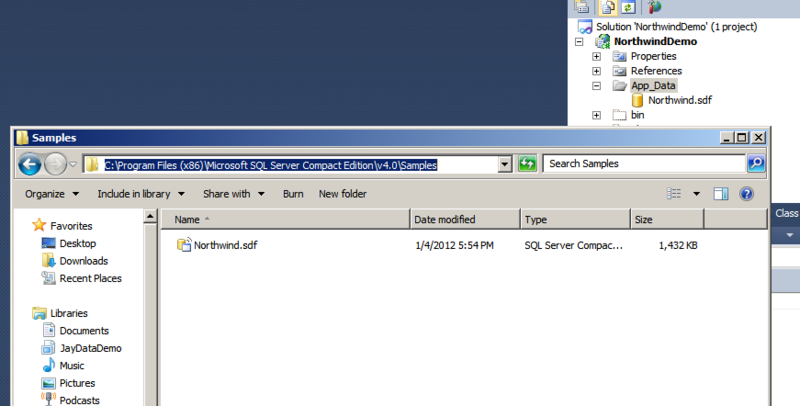 If you can not see Northwind.sdf like in the picture then make sure you have SQL Server CE 4.0 support installed. Also you might need to open the Northwind.sdf database with a double click to have it appear in the list. 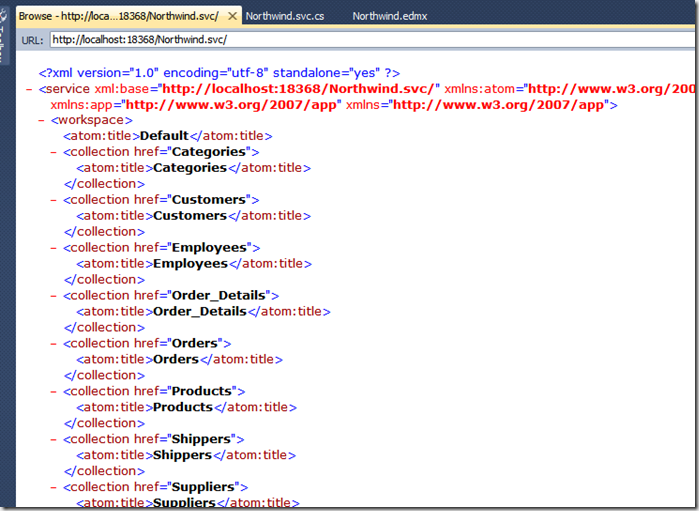 10) Right click on the Northwind.svc and select “View in Browser”. 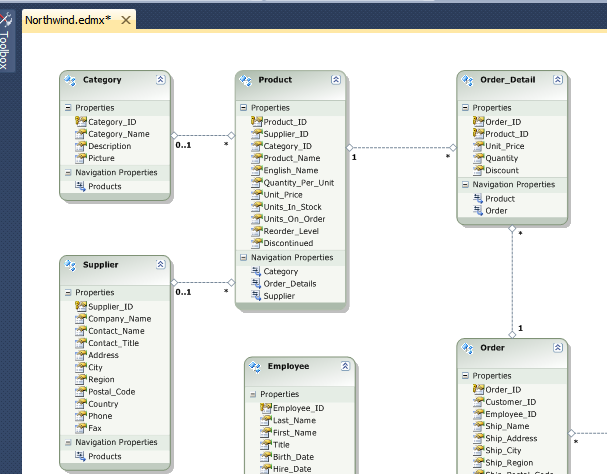 Congratulation, you have and operational OData service. The syntax for JaysvcUtil is blogged about here. 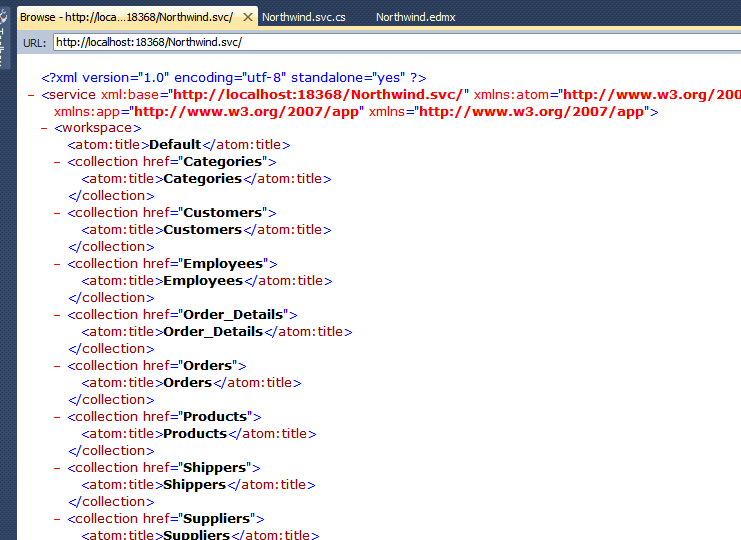 Northwind.js is generated in you web project folder. 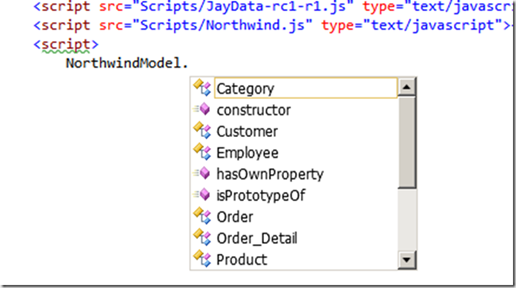 You may have to switch “show all files” in the solution tree to be able to access Northwind.js from Visual Studio. As of JayData 1.1 and above you need to also include jaydataproviders/odataprovider.js in your page for the following examples to work without modification. 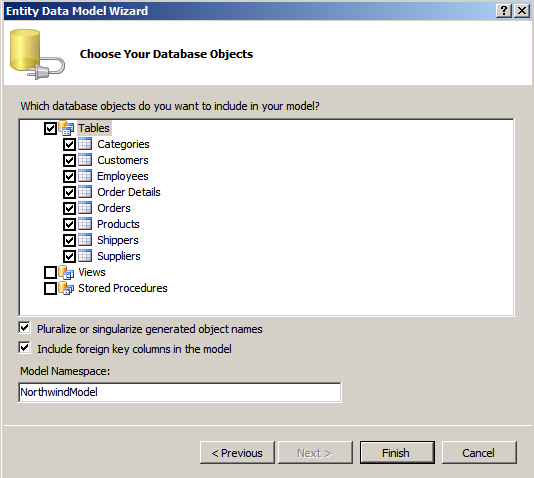 How to create a simple product creator application? 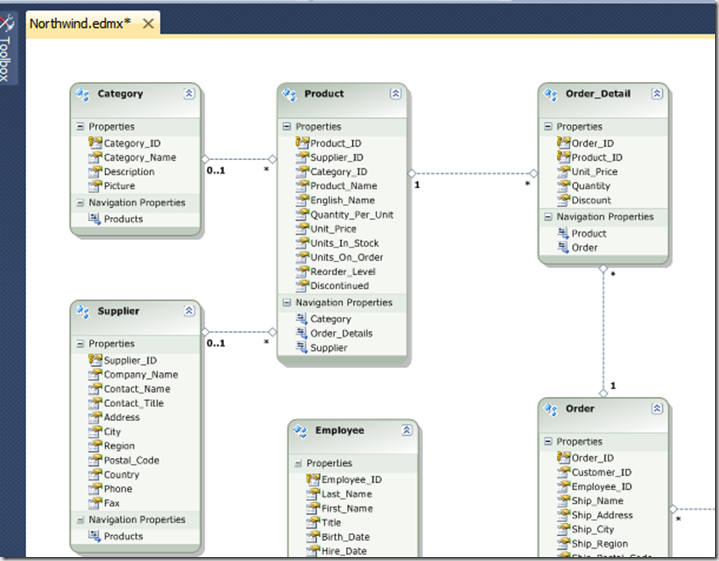 var item = "<li class=@cls data-id=@id><a href=#>@name</a></li>"
Extended the script block with the following lines. 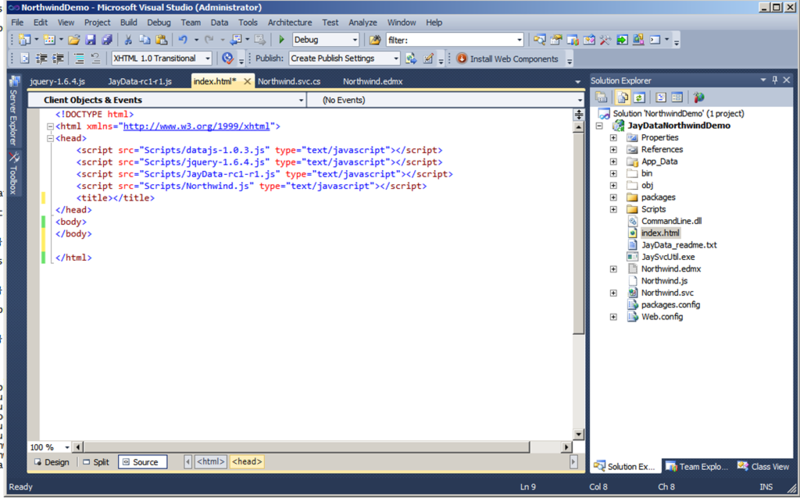 Notice the match in the jQuery delegate for the category class (class=category). 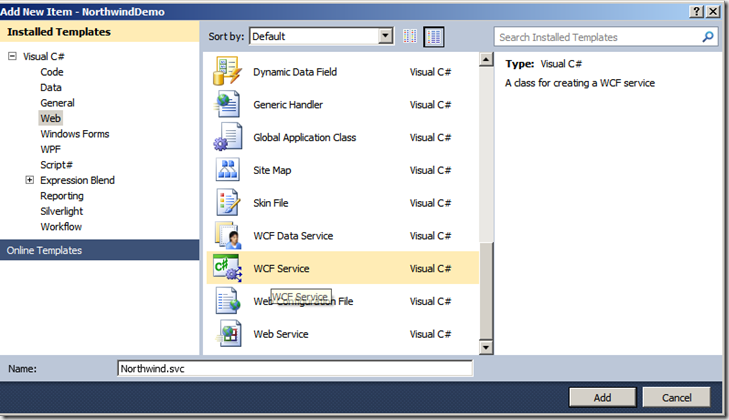 To invoke this function place a button somewhere in the html.